Scott R. Looney has always been interested in the creation and performance of compelling sounds across a broad spectrum of contemporary, improvised, and experimental music. 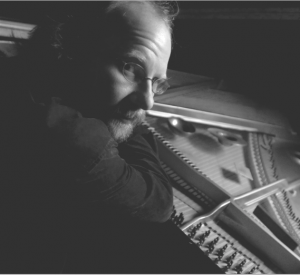 He has studied composition and improvisation with Roscoe Mitchell, Wadada Leo Smith, Morton Subotnick, David Rosenboom, and Frederic Rzewski, obtaining his MFA in Composition from California Institute of the Arts.After moving to New York, and finally to the San Francisco Bay area, he became more interested in expanding the timbral possibilities of the piano, and using pianists such as Denman Maroney as a starting point, has forged a signature style using the inside and outside of the piano, plucking strings, using metal implements and other quick preparations, in combination to playing the piano normally. He has also developed a flexible, expressive voice with electronics using Max/MSP which is as effective as his many piano textures are. Scott has recorded and/or performed with Oliver Lake, Frank Gratkowski, Wolfgang Fuchs, Jon Raskin (of the ROVA Saxophone Quartet), Joelle Leandre, Henry Kaiser, Gianni Gebbia, Gino Robair, Joe Morris, and Paul Smoker, to name a few. He has played in numerous local and international festivals such as the Ulrichsberger Kaleidophon, San Francisco Electronic Music Festival, Olympia Experimental Festival, Big Sur Experimental Music Fest, and the Line Space Line Festival in LA. also an abundance of musical intelligence and subtlety."